Katherine is member of The Biega + Kilgore Team which has sold over $300,000,000 in property. Katherine Bell, a Boston area native, joins the Biega+ Kilgore Team after prior experience in both the technology startup and residential real estate spaces. 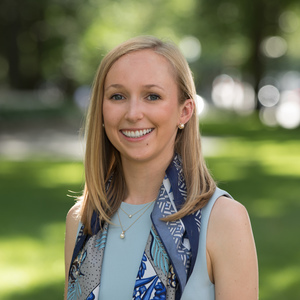 After graduating from Colby College with a degree in Psychology and a minor Business, Katherine joined Wellesley's Benoit Mizner Simon (“BMS”) as a licensed sales associate and transaction coordinator after working with BMS during summers and as an intern over the prior 4 years. She then spent two years in sales and client service roles at Catalant Technologies, a Boston based high growth venture-backed start-up. Katherine knows the Boston area well, having grown up in Wellesley and living in both the Back Bay and the South End. Leveraging her lifelong passion for all things real estate to the benefit of her clients, she offers the high level of professional service to buyers, sellers, tenants & landlords across Boston.